A novel-turned-play has won the backing of producers to turn it into a full-length show after wowing judges at a local showcase. Tony Seymour’s The Mermaid in the Gherkin Jar started life as a children’s short story, here transformed into a stage show by the Bolton-based Northern Rose Physical Theatre Company, battling it out with three other productions at Flow Salford at The Lowry on Saturday 20 September. The best work in the city, including much-fancied Hangdog by 1956 Theatre, and a monologue on living as an undocumented migrant worker, all fell to the alluring tale of Christopher, a, eight-year-old boy with cerebral palsy who discovers that his grandmother’s silly stories are true, and the enchanting mermaid Azalea really does live in a gherkin jar in his cupboard. Tony told us: “We live in a world where so much focus is placed on appearance – so when Christopher starts school he really notices that he is different and it makes him a target for bullies. “Cerebral palsy is a very broad church – I’m fortunate to have quite a mild form but people can be confined to a wheelchair for their whole lives. “It’s strange, a lot of the things that I couldn’t do – simple things – like not being able to play football – that’s where friendships are made and you do feel ostracized. “The natural reaction to somebody who is different is to perhaps take a step backwards, I was lucky that I was always outgoing but I imagine for a lot of people it can be a very lonely experience. “I never wanted it to be seen just by the disabled community, it’s got to draw people in and entertain them and make them laugh. The show will be developed by Charlotte Mountford, a producer on secondment at The Lowry from the BBC’s Performing Arts Fund. Director of the fund Miriam O’Keefe told SalfordOnline.com: “Our decision was based on the fact that we thought the Northern Rose Physical Theatre Company had produced a really beautiful piece with some really interesting ideas in it. Tony’s mother Evie also trained as a classical concert pianist and has written ten pieces to accompany the story. Learn the magic of The Mermaid in The Gherkin Jar now. Read an excerpt or go ahead and get the book to meet Christopher and Azalea today. Tony Seymour is a new author. 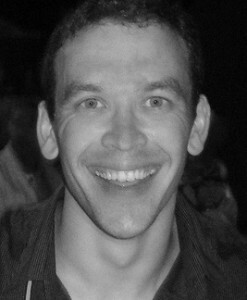 He was diagnosed with mild cerebral palsy at birth. 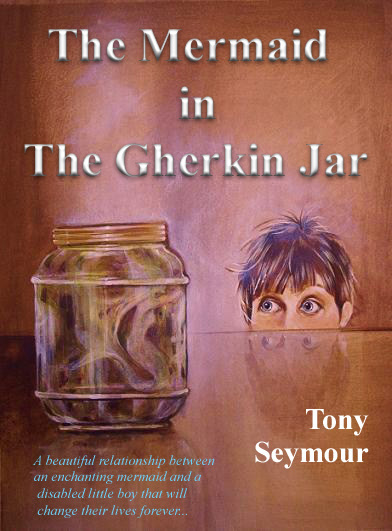 ‘The Mermaid in The Gherkin Jar’ is an enchanting children’s story, which highlights the challenges Tony faced as a young child growing up with the condition. Tony lives in Manchester. You can find him on Twitter. From Page to Stage Part IV – Marketing the Mermaid! It’s oh so quiet…?! Manchester’s International Festival serves up another dazzling kaleidoscope of music, mystery and movement. The year of the mermaid? A fairytale look at film in 2015! Able-bodied actors in disabled roles: modern-day ‘blacking up’… or is it? © 2019 The Mermaid in The Gherkin Jar. Made by Pilgrim Marketing.